In Littleton it may as well be me. from Astronomy Magazine for outstanding public programming. These words from Robert Frost's poem, "The Star-Splitter" so eloquently summarize the idea behind NHAS's Library Scope Program. 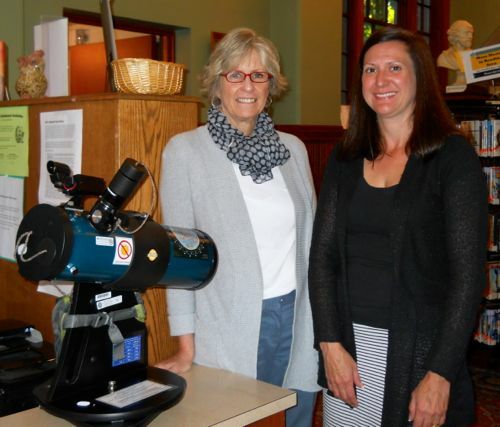 The New Hampshire Astronomical Society, and particularly its Educational Outreach Committee, started placing telescopes and educational materials in selected libraries in New Hampshire beginning in December 2008. 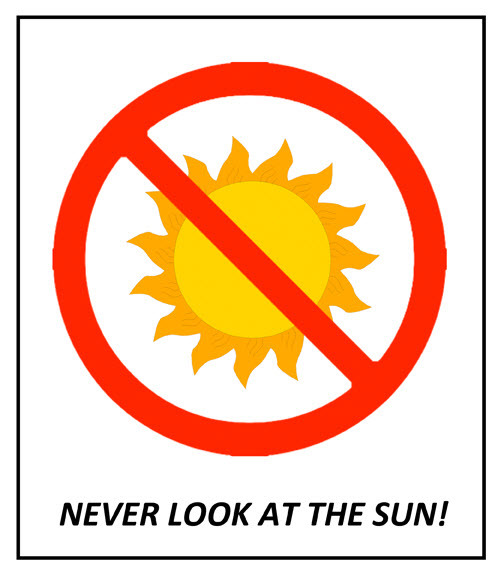 Our goal: To help foster scientific literacy, stimulate an interest in astronomy, and provide people who have never looked through a telescope the chance to experience the excitement that comes from discovery. From a humble beginning of two scopes placed in 2008 followed by ten in 2009 and a further four in the first half of 2010, the program has grown beyond our own expectations. Placing the telescopes in local public libraries instead of just schools, allows greater general access to the scope since they can be put into circulation just as a book. Where applicable, a local Club member acts as a foster parent to the scope. He or she will periodically clean and adjust the telescope, and act as a local astronomical resource to the library patrons. Additionally, a library member or student from a local school could be engaged as an apprentice astronomer to provide needed care to the scope. NHAS has selected the Orion StarBlast 4.5-inch Astronomical Telescope for the libraries, along with a zoom eye piece and supportive material. We have re-written the instruction manual and provide a laminated, spiral-bound 4 by 6 inch copy with each scope. The telescope is easy to use and is robust. There is nothing to assemble. It has a wooden base, not the usual spindly tripod legs. The telescope is of manageable size, but has a relatively large optical tube. This means that the Moon and deep sky objects will show far more detail than one could see with the common "beginners" telescopes. It also has a large field of view that allows the object to stay in the eyepiece longer. This is a quality instrument, reviewed by a number of astronomical publications and found quite worthy. Funding for the scopes has come from a variety of sources: the NHAS general budget, some specific donations from members, the public through donations at Skywatches, and library patrons interested in giving something to their communities. 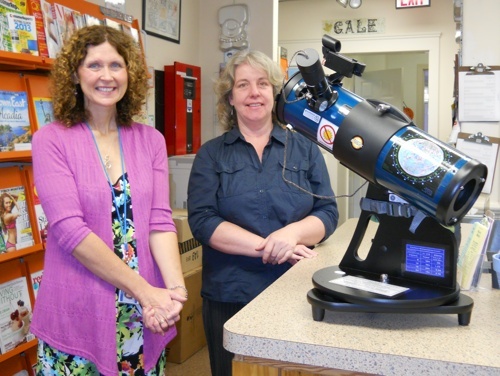 While we have presented a few libraries with outright gifts, the majority of the libraries have opted to purchase their telescope with their own funds, accepting the club's guidance and support. The Library Telescope Program continues to be very well received. 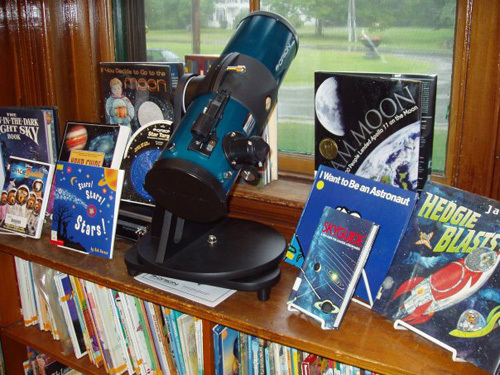 Each participating library typically has a waiting list for their telescopes, and most have set up book displays with the telescope as a centerpiece. We at NHAS are very proud of the success of the program and are delighted to provide an opportunity to further share our love of the night sky in this unique way. Thank you for visiting and taking an interest in our work. Please feel free to copy this program and the materials about the project (attribution would be appreciated). Let us know about your thoughts regarding the LTP and if you start one of your own.